On this date in 1892, two outlaws were hanged (and a third spared at the last moment) in Gori, Georgia — part of the tsarist Russian Empire. 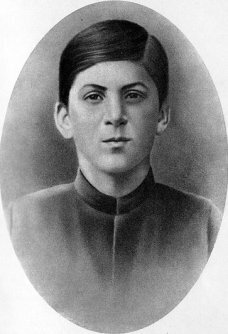 Josef Djughashvili, the future Stalin, was a teenager when he saw an 1892 public hanging in Gori. The most noteworthy executioner present on this occasion was not on the scaffold, but in the audience: a 14-year-old student at an orthodox church school named Joseph Djugashvili. You know him by his later, steely revolutionist alias: Stalin. This precocious, ferocious youth attended the public hanging with school mates to whom he was already a natural leader. 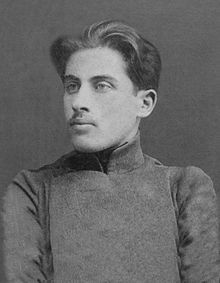 He and his friends sympathized with the doomed Caucasians, so insouciant at being strung up by the tsarist oppressor: conversing after the gruesome spectacle, Djugashvili would maintain that the men had not been consigned to hell, for they had suffered enough in the present. 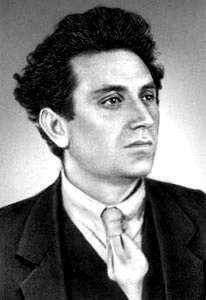 But this boy was not made for theologizing; though he proceeded to seminary school in Tiflis — the best education prospect for an impoverished family — he disappeared thence into the life of professional revolutionary outlawry. 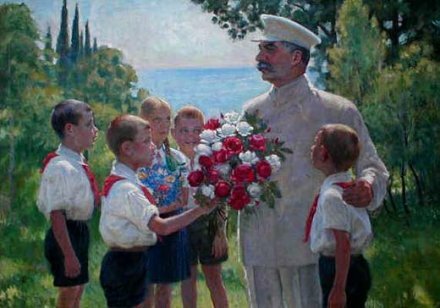 The recent (and well-received) biography Young Stalin recaptures this scene from Joseph Djugashvili’s youth. The boys were fascinated. 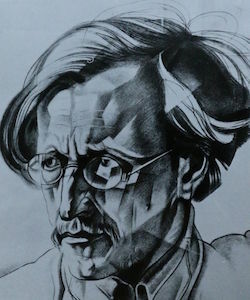 “Soso Djugashvili, me and four other schoolboys climbed a tree and watched the terrifying show from there,” remembers one of the group, Grigory Razmadze … Another spectator whom Stalin would later befriend and promote was Maxim Gorky, then a journalist, soon to be Russia’s most celebrated writer. The Gorelis sympathized with these brave Caucasian bandits … The crowd became menacing; double ranks of Russian soldiers encircled the square. The drums began to beat. 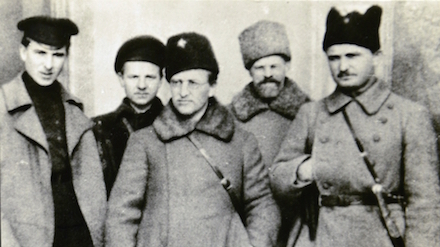 “The authorities in uniforms lingered around the scaffold,” wrote Gorky in his article. “Their dreary and severe faces looked strange and hostile.” They had reason to be nervous. The three bandits in leg irons were marched onto the scaffold. One was separated from the others — he had been reprieved. The priest offered the two condemned men his blessings; one accepted and one refused. Both asked for a smoke and a sip of water. Sandro Khubuluri was silent, but the handsome and strong “ringleader,” Tato Jioshvili, smiled and joked valiantly before the admiring crowd. He leaned on the railings of the gallows and, noticed Gorky, “chatted to people who had come to see hi die.” The crowd threw stones at the hangman, who was masked and clad completely in scarlet. He placed the condemned on stools and tightened the nooses around their necks. Sandro just twirled his moustache and readjusted the noose. The time had come. The hangman kicked away the stools. As so often with Tsarist repression, it was inept: Sandro’s rope broke. The crowd gasped. The scarlet hangman replaced him on the stool, placed a new noose round his neck and hanged him again. Tato also took a while to die. Even Joseph Stalin was a child once. One would have to really like the difficult-to-prove notion that executions have a brutalizing effect encouraging violence in others in order to see in this hanging the germ of the incomprehensible suffering young master Djugashvili would eventually unleash. It’s not like this was Stalin’s only childhood exposure to brutality, and not too many of those buddies who watched this date’s hanging grew up to kill 20 million people. Gori was one of the last towns to practise the ‘picturesque and savage custom’ of free-for-all town brawls with special rules but no-holds-barred violence. The boozing, praying and fighting were all interconnected, with drunken priests acting as referees… [At festivals during Stalin’s youth] the males in each family, from children upwards, also paraded, drinking wine and singing until night fell, when the real fun began. This ‘assault of free boxing’—the sport of krivi—was a ‘mass duel with rules’; boys of three wrestled other three-year-olds, then children fought together, then teenagers and finally the men threw themselves into ‘an incredible battle,’ by which time the town was completely out of control, a state that lasted into the following day—even at school, where classes fought classes. This is Russia, not Georgia: festive Maslenitsa fisticuffs. The small Georgian town that spawned the first name in Soviet terror actually maintained a public statue to its most famous son until 2010 — when it was finally removed in an apparent anti-Russian gesture in the wake of the South Ossetia war.